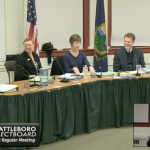 The Brattleboro Selectboard cancelled a few possible contentious items on the agenda (the Harmony Lot mural and the Health Code violation) but still got an earful from a couple concerned that blinking safety lights on Western Ave are unnecessary and lower the value of their home. The Wessel Baffle might prove to be the solution. Town Manager Elwell gave the board an overview of the coming budget request from Town staff. Of note: the expected 4% health insurance increase is actually more like 17%. Ouch. Call a doctor. Police cars are being uplifted, a new solar project is being considered, and more. 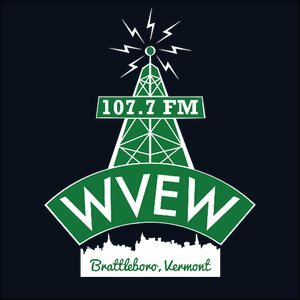 There are citizen complaints about the new flashing lights on Western Avenue near Cedar Street, and the Brattleboro Selectboard will hear them at their next regular meeting. The Town has complaints, too, against a property owner on Oak Street. The Town Arts Committee has concerns about the bookshelf mural in Harmony Lot, the FY20 budget overview will be presented, and a solar array might be coming to a parking garage near you.